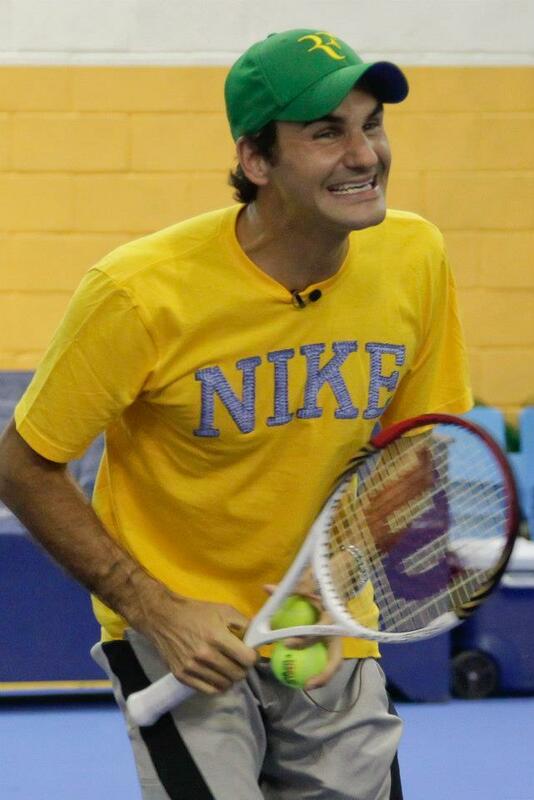 Pics and video of Roger Federer playing tennis with kids in Sao Paulo,Brazil. Federer met (5-12 Wednesday) with some children during his visit in Brazil for the Gillette Federer Tour ,and played tennis with them . "The Gillette kids tennis clinic here in Sâo Paulo was simply amazing and emotional for me, too. Federer said, The kids almost played for their lives as they knew what they were in to win...it's amazing emoticons "
Federer enjoyed playing with the kids and was happy for them.